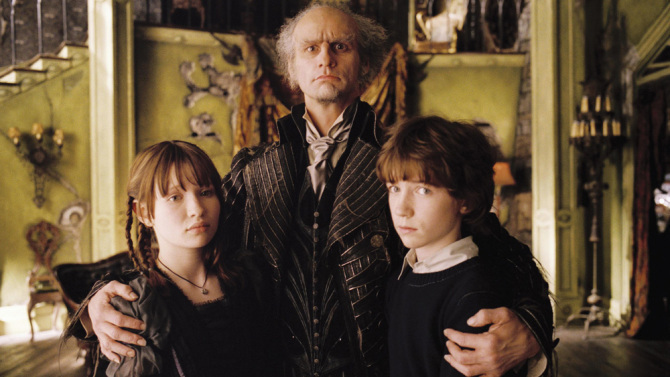 Fans of Lemony Snicket’s A Series of Unfortunate Events may rejoice, because a television series adaptation is currently in development at Netflix. According to a report by Variety, Mark Hudis (True Blood, Hand of God, Nurse Jackie, That ’70s Show) will be the showrunner and executive producer, while Barry Sonnenfield (Swamplandia) will be both executive producer and director of the episodes. Netflix acquired the rights to the book series back in November and they billed it as having a “multigenerational appeal” to both children and their parents. A Series of Unfortunate Events happens to three resourceful orphans (Violet, Klaus, and Sunny Baudelaire) who need to contend with the dastardly Count Olaf (played by Jim Carrey in the 2004 film version) and various other obstacles as they search for their rightful family fortune and try to find answers about their parents’ death. There are currently no details on the production schedule for the series.